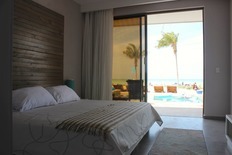 ​rooms are directly located on the kiteboarding beach and are stunningly beautiful. 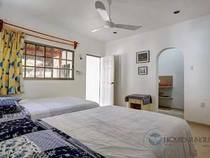 Simple room with two double beds. 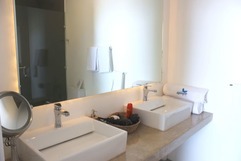 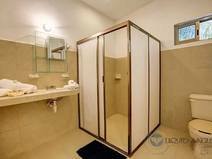 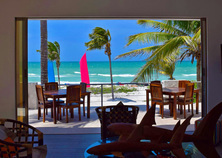 It includes a kitchen, full bathroom, parking, small outdoor terrace, patio for kiteboard drying and air conditioning. 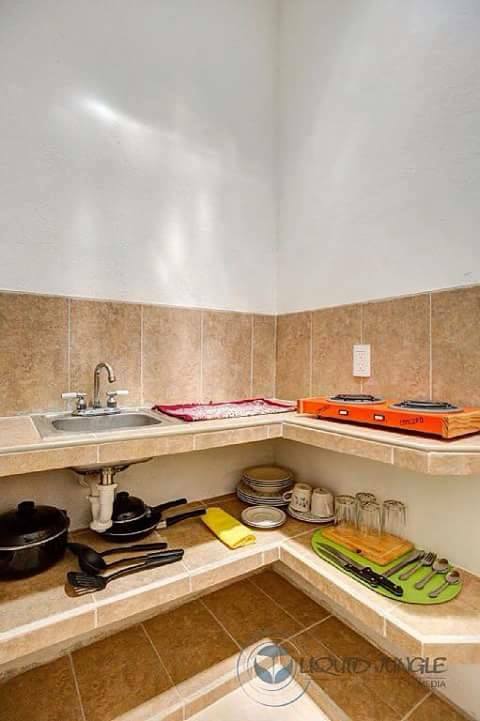 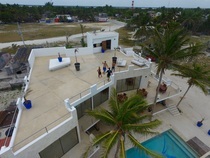 Located in the heart of El Cuyo;, Mexico; please see Map/Guide for the exact location. Nice little house with two bedrooms, four beds. 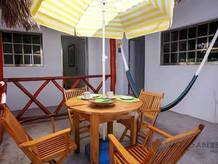 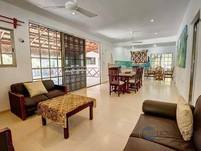 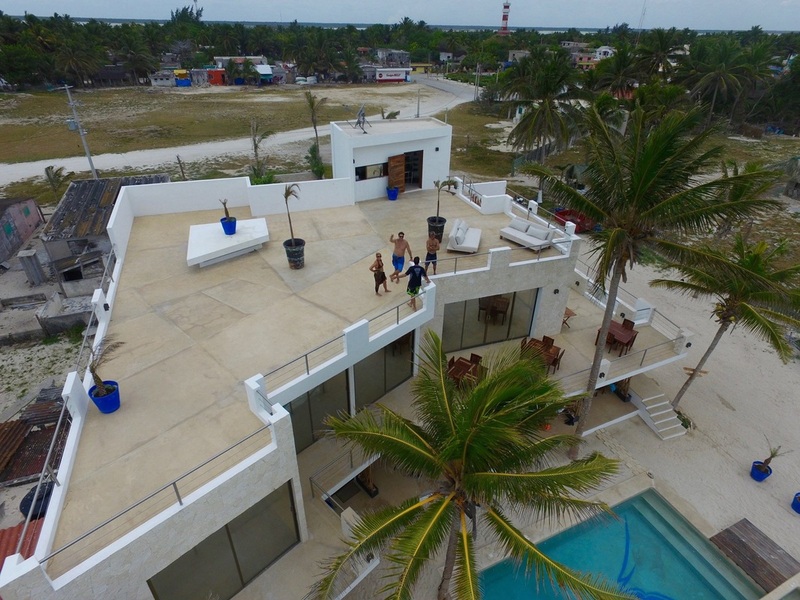 It includes a kitchen, full bathroom, parking, air conditioning, and a large patio area with hammocks for relaxing after a nice day on the water kiteboarding. Located in the heart of El Cuyo, Mexico; please see Map/Guide for the exact location. Casa Morph is PERFECT for kiteboarding groups, family reunions, business retreats, as well as yoga or kite camps. There is a significant cost savings for renting the property out in full, making Casa Morph extremely affordable. 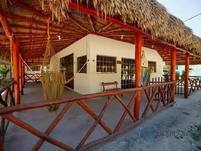 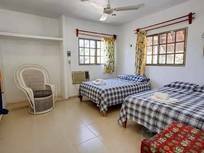 This is the best place to stay in El Cuyo, Mexico! 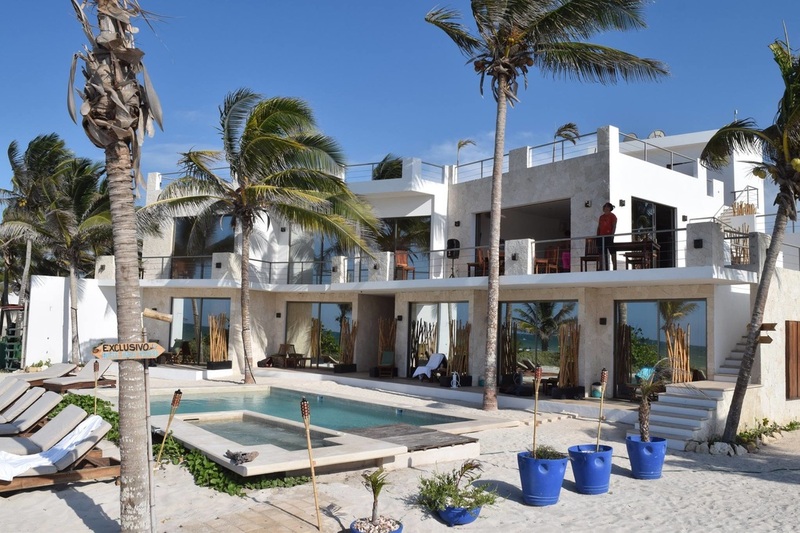 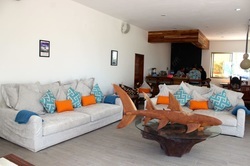 Casa Morph is a seven bedroom, kiteboarding luxury suite located on the beach in El Cuyo, Mexico. Rented as a whole, this accommodation includes a living room, dining room, bar (alcohol not included), rooftop terrace, outdoor pool, and comes complete with daily maid service and a chef (choose meals from a menu). 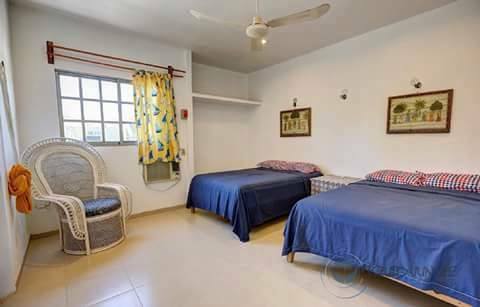 All guest rooms include a private patio, A/C, key access, a safe, WIFI, a private modern bathroom w/hot water, hair dryers, cosmetic mirrors, and shower dispensers with shampoo, conditioner & body soap. 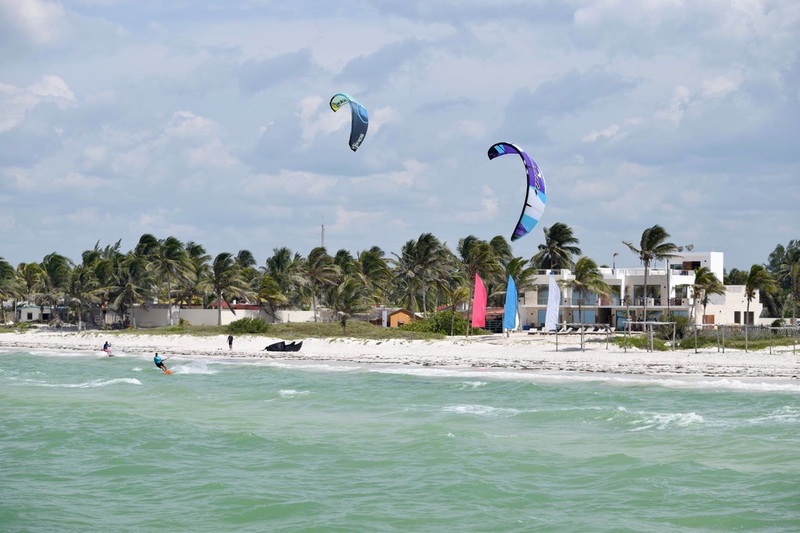 Kiter specific amenities include board racks, an air compressor on the beach, kite caddies, and storage for wet and sandy kite gear. 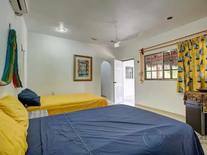 ​Contact us to inquire about cost and available dates.